With the ColorComm Conference quickly approaching, female media professionals are prepping for the big networking event. ThisÂ annual conference, the ultimate business retreat for women of color in communications, will take place July 29-31 2015. 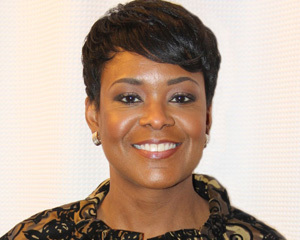 Recently, the group hosted an informative #ColorCommChat on Twitter featuring Ms. Rose Stuckey Kirk, chief corporate social responsibility officer at Verizon. Kirk leads Verizon’s philanthropic strategy with an emphasis on projects that demonstrate the use of technology in addressing social issues, such as education, domestic violence prevention, and online safety, according to a statement. Kirk also oversees Verizon’s employee volunteerism program, and communicates Verizon’s overall corporate responsibility messaging. During Â the chat, followers and participants had the opportunity to talk about careers in philanthropy, networking, and career transitions. Kirk offered advice and shared personal experiences based on her own professional career moves. The chat included a few tips for maintaining healthy work/life balance, which emphasized putting “family first,â€ and working towards achieving a healthy body and mind. It’s not every day that you’re given first-hand insight from an industry professional. Take a moment to view the Twitter chat below to see if your career or work/life questions were answered during the session. For more information about the upcoming ColorComm Conference visit:Â ColorCommConference.com.